Improving the quality and safety of animal husbandry products remains a major export priority in Viet Nam. Dr Nguyen Thanh Son, former director of the National Institute of Animal Sciences, said that better linkages between producers, processors and consumers would contribute to the sustainable development of animal farming. 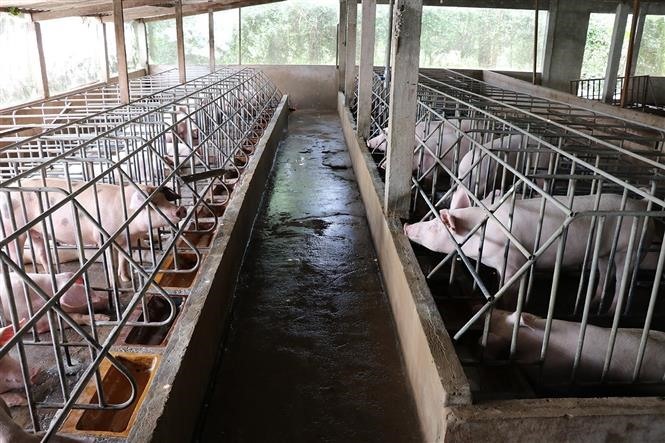 In 2017 and 2018, several firms invested in farming models that connected various parties and modern processing technologies, such as MASAN`s new pig slaughterhouse and processing facility in Ha Nam Province, which opened on December 23 with a capacity of 1.4 million pigs per year. However, many farmers cannot satisfy big companies` technical requirements and lack modern animal farming facilities, leading to a higher vulnerability to disease. From 2016 to 2018, a safe farming project was implemented in several provinces such as Thai Binh, Dong Nai and Ba Ria - Vung Tau. Cuong said the Ministry of Agriculture and Rural Development and the Ministry of Industry and Trade wanted to improve pork exports and were working on facilitating trade with other countries, including exports of raw pork. Nguyen Xuan Duong, acting director of the Animal Husbandry Department under the Ministry of Agriculture and Rural Development, said the industry should work on linking farmers with firms and reduce the number of small farms operated by one individual.